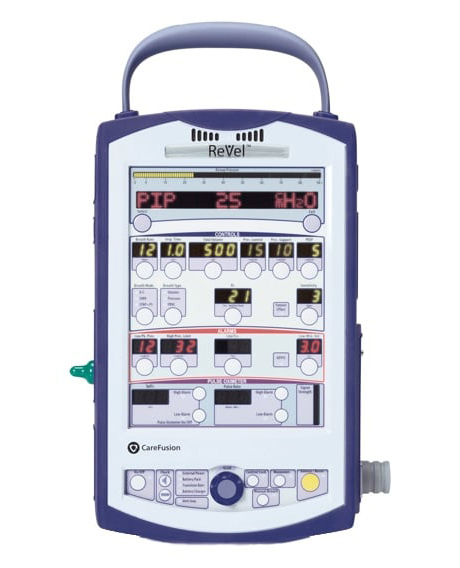 The CareFusion ReVel Ventilator is often used for ventilation during patient transport. The size of this ventilator makes it portable and efficient to provide care that you can count on. It can be used for both adult and pediatric patients as well as in many different healthcare settings. The Revel has an integrated Pulse Oximeter that allows for SpO2 and pulse rate monitoring of patient’s during transport.